The City Council authorized the City Manager to sell a parcel of oceanfront property known as “the Boat School.” Plaintiffs filed a complaint seeking a declaratory judgment that the sale agreement was invalid due to the City’s failure to advertise in accordance with its charter, and moved for a temporary restraining order to prevent the sale of the property. Defendants counterclaimed against Plaintiffs for slander of title and tortious interference with a contract. 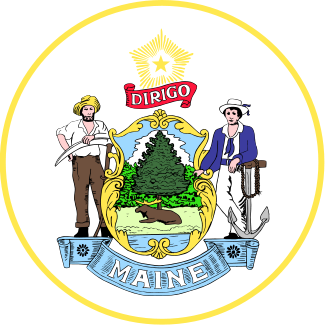 Plaintiffs filed a special motion to dismiss the counterclaims of Defendants pursuant to Maine’s anti-SLAPP statute because Defendants’ counterclaims were based on Plaintiffs’ petitioning activity. The district court (1) declined to address the merits of Plaintiffs’ special motion to dismiss because it was filed after the sixty-day period provided by the statute; (2) granted Defendants’ motion for summary judgment on Plaintiffs’ complaint; (3) granted in part and denied in part summary judgment for Plaintiffs on Defendants’ counterclaims. The Supreme Court affirmed the district court’s denial of Plaintiffs’ special motion to dismiss, holding that the court did not abuse its discretion in declining to consider the merits of Plaintiffs’ untimely special motion.